I started this New Year as I meant to continue. With no resolutions, but with a simple mantra to ‘De-clutter’. To de-clutter my living and working environment. To de-clutter the physical, mental, emotional baggage that I have been carting along for far too long. To clear up space that will improve productivity and help me reach my goals. One week in, and I am pleased with the progress I have been making. It has not been easy and not without set-backs. The key to long-term success, I have come to realise, is not to be upset by failures but to take them in your stride and move on. Easier said than done! After years of trying every possible method to turn my life around, I was on the hunt for a tool that will help me achieve my targets. Something to keep on track as I work towards my goals. I may have found just the thing. And I am going to share it with you so that you can achieve your goals too. All I need is a commitment that you will spend 10 minutes on yourself every day. 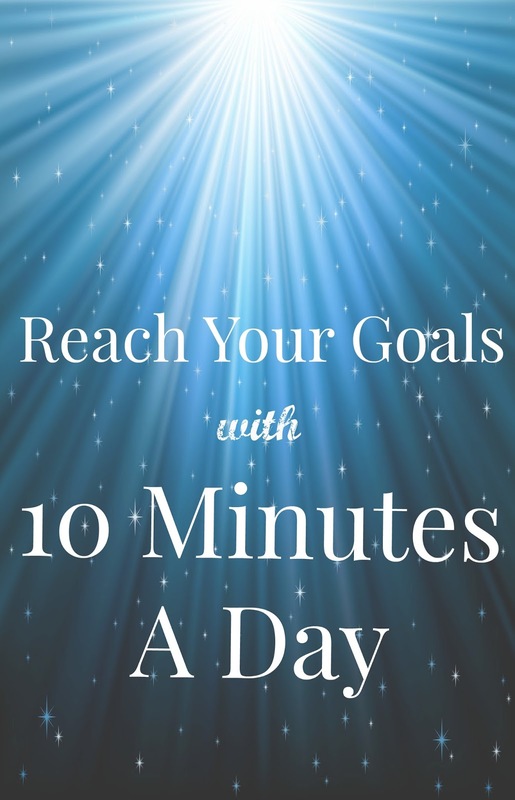 It may not seem like much, but even 10 minutes can become difficult to find in an increasingly busy lifestyle. But if you are looking to change your life around and reach those elusive goals, I need that commitment. Promise to find 10 minutes from your busy life for yourself. I have started by setting the alarm clock to wake me 10 minutes before my usual time. That, or you can find those minutes just before bed-time, on the daily work commute, at lunch-time, anything that works for you. Just make sure there are no disturbances and no distractions in those 10 minutes. No phone calls, no whatsapp, no social media. Everything can wait. Now close your eyes and focus on your breathing. It may sound easy, but believe me it takes some doing. Our minds are like horses in the wild, refusing to settle, fleeting unrestrained from place to place. You will find your mind wandering within seconds. The email that needs sending, the shopping that needs doing, the weekend that needs planning. Every task important, every second precious. Resist the urge to get up and tend to those pending tasks. Gently re-direct your wandering mind back to your breathing. Notice the flow of air in and out of your nose. Is there a difference in the way you breathe in and out? Do you feel subtle changes in the temperature of the inhaled and exhaled air? I am not asking you to count your breaths. Just notice the process of breathing without reacting to it. Yes, your nose will start to tingle. It will start to itch. Don’t fall into that trap. Desist from touching your twitchy nose. Of staying calm and focused. Of mindfulness. Don’t just take my word for it. Try it out for yourself. 10 minutes a day, every day, where you are mindful. See if the mindfulness spills over into other areas of your life and work. See if it makes you more focused, more in charge of your emotions and more productive as a result.